An all-purpose addition to your kitchen environment, our Dish Cloths are suited to all manner of cleaning tasks. 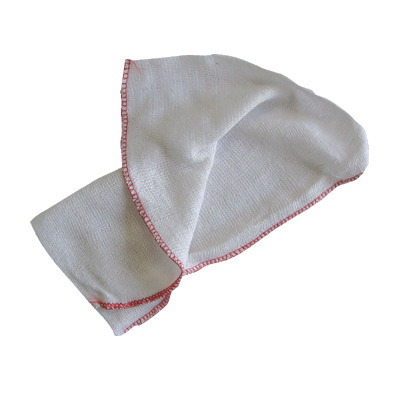 Made from a white cotton knit, these absorbent cloths can be used for wiping down surfaces, cleaning up spills or even performing the washing up. Their contrasting hemmed edge prevents fraying and loss of fibres during cleaning while a pack of 10 cloths come wrapped in cellophane to preserve their cleanliness until use. Appropriate for use when either wet or dry, each dish cloth has a suitable unfolded dimension allowing it to work effectively within your current cleaning routine. Ensure every bowl and plate is sparkling clear with our range of Dish Brushes and Scourers, all of which are available at affordable wholesale prices.